It was a nice day to work outside yesterday. First I mowed the grass until my battery in the mower died. I think I will need to replace batteries this year. I buy 2 batteries and my son wires them together and they go into the case that fits the mower. It is less expensive than buying the battery from a dealer and since there is no dealer close to me this works best. 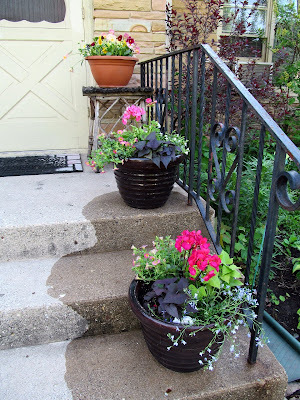 Then I planted 2 of the pots for my porch. The one on the table was done a couple days ago. 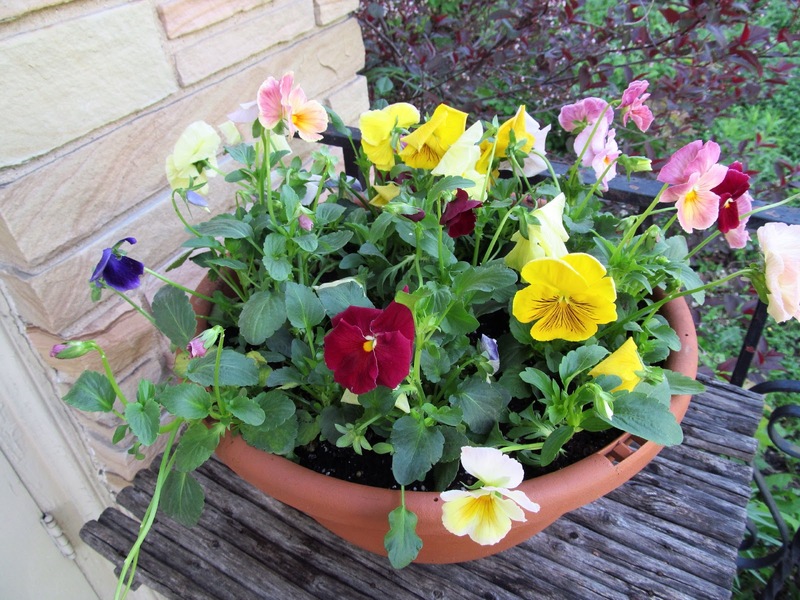 Here is a better shot of the one on the table, all pansies. 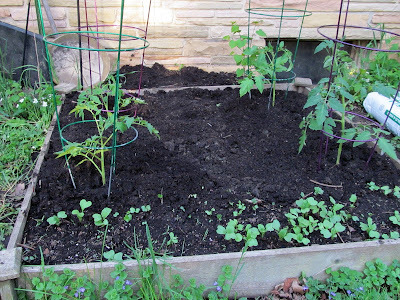 As long as I was already dirty and sweaty I decided to plant the tomato plants too. I put just 4 plants in the raised bed this year. 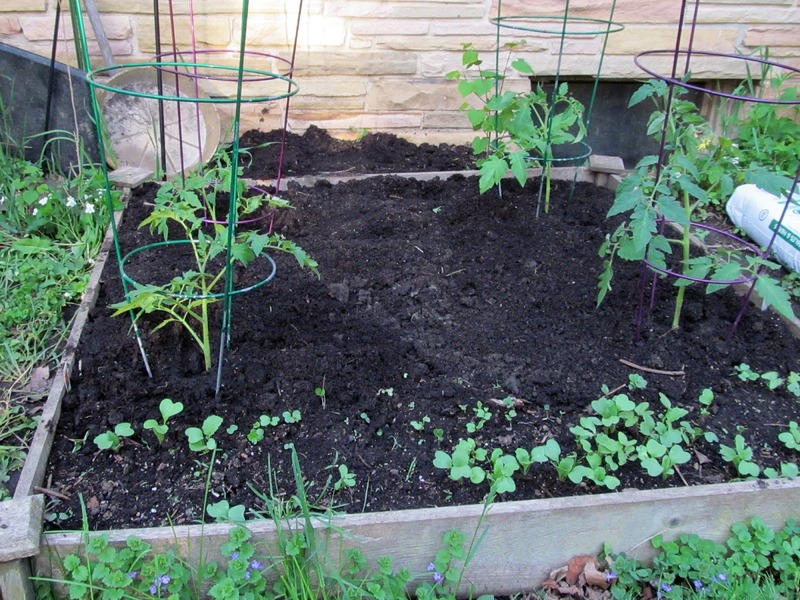 The little plants in front are radishes. I also planted 2 tomatoes by the driveway since it is the sunniest spot I have, sun almost all day. There is a patio tomato plant in the planter. That may move to the backyard. I haven't decided whether I'll put tomato cages around these plants. 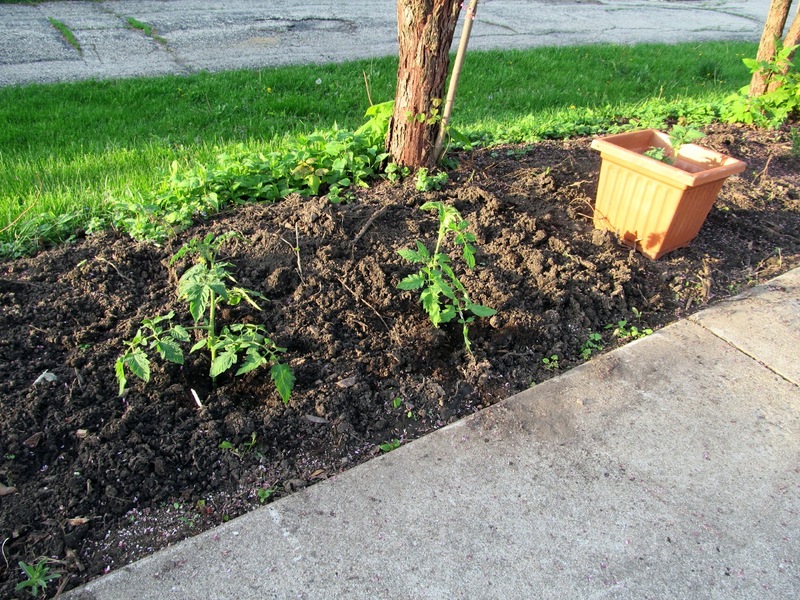 I think that might make it too obvious to people on the street that it is tomato plants. I don't want it to look like free food for the taking. Last night was my 3 hour TV night so I sewed some more of the 16 patches. 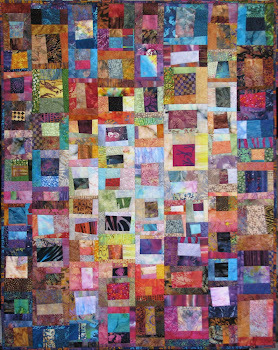 I have 34 of 63 blocks sewn now. 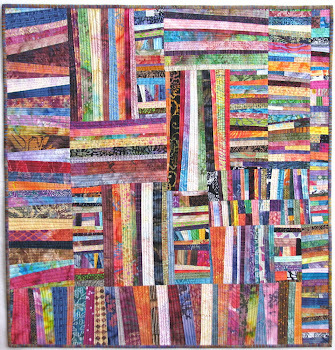 This is 2 each of 17 different pairs of fabric. Tutorial for the 16 patch is on my free resources page of my website. Your potted flowers are so pretty. 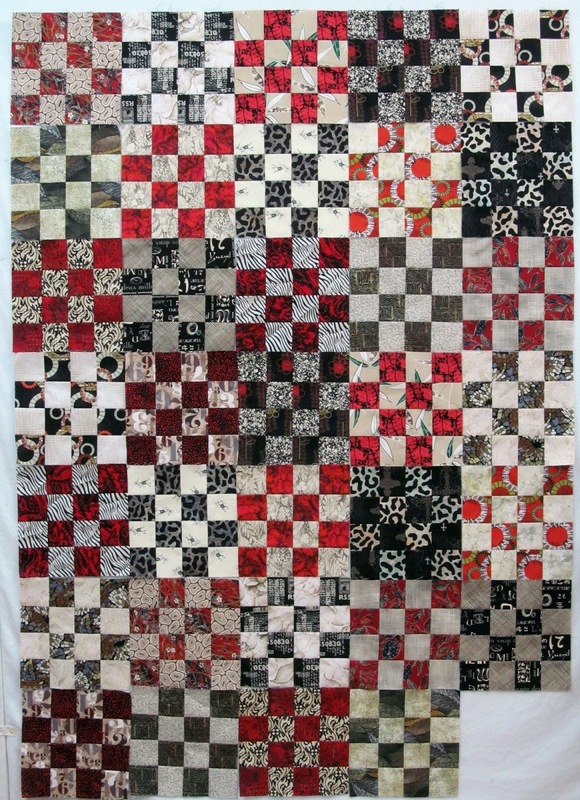 The quilt top is coming along nicely. Your weather is a little ahead of mine. We have to put the back yard back in shape after the garage shop addition for my husband last year. I have to go buy plants this weekend for sure. Great pots! Your geraniums are much the same color as mine! Here in Charlotte, the deer come right to the front door and almost ring the bell...they would be thrilled to see these tomato plants..